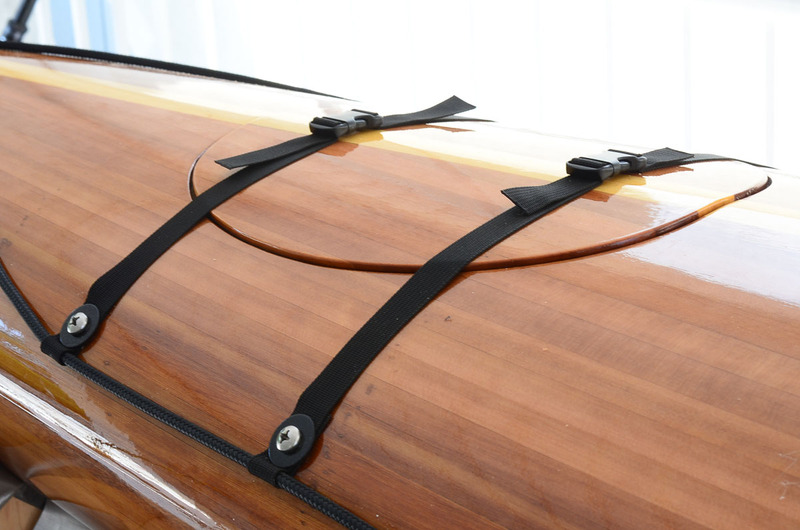 Inexpensive Kayak Deck Fittings That Work! After searching unsuccessfully for inexpensive deck fittings I decided to make my own. I came up with a very simple and workable solution using stainless-steel, pan-head machine screws and large “fender” washers. The washer on the outer skin traps a loop of ¾” webbing which in turn is threaded with ¼” Dacron deck line. These two fittings secure the deck line and the hatches. I used the tip of a soldering iron to melt a hole in the webbing to take a machine screw and also seal the edges of the cut webbing. The stainless washers were scuffed up with 400 grit wet&dry paper, degreased then sprayed with black enamel. I’m very pleased with the overall effect, which goes well with the black carbon-fibre cockpit coaming. 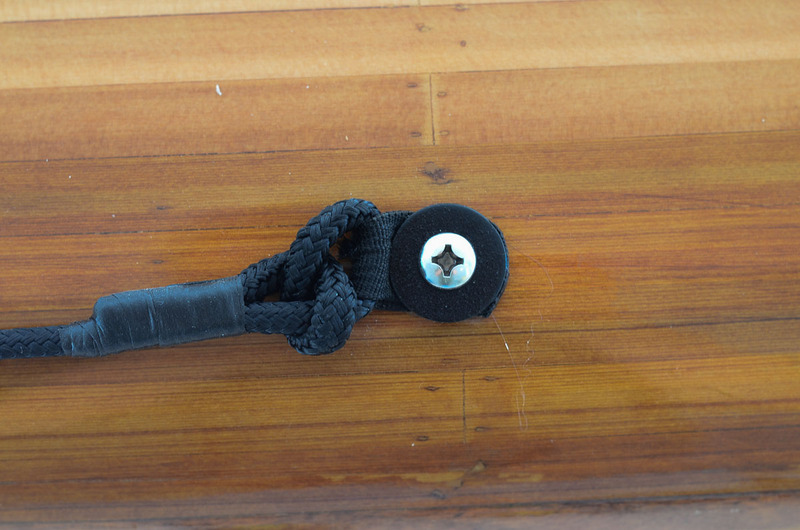 To reduce the possibility of the webbing unraveling under stress I used “Marine Goop” to glue the folded webbing together and also to prevent water penetration down the screw threads. I used thickened epoxy to fill voids under the washer inside the hull – the hull has some curvature of course and I didn’t want to crush the structure. The screws were secured with Nyloc nuts. I think the end result looks smart and it has certainly performed well so far.